The undersigned independent Vietnamese Civil Society Organizations strongly condemn the kidnapping and detention of three activists, Pham Doan Trang, Nguyen Quang A, and Bui Thi Minh Hang by Vietnamese authorities on November 16, 2017. The three activists were kidnapped right after their meeting with the European Union (EU) delegation in Hanoi. 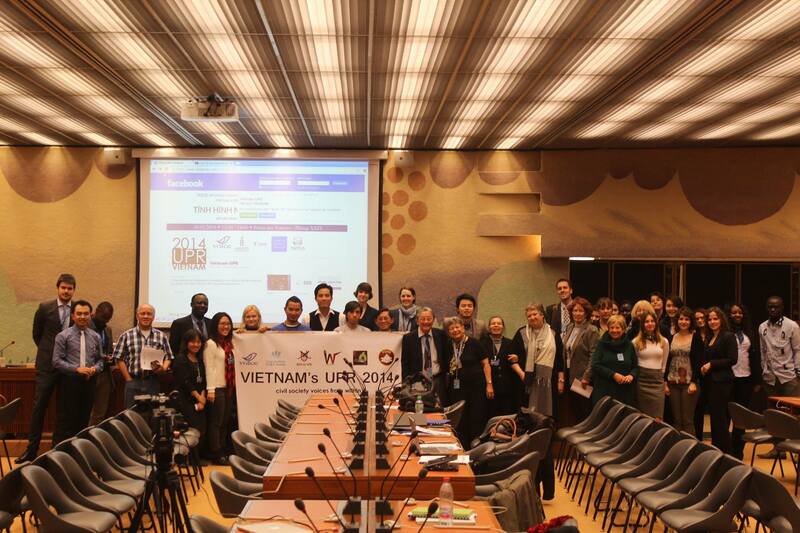 This meeting was held in preparation for the upcoming annual EU-Vietnam Human Rights Dialogue. The EU initiated this meeting by inviting the activists to come and provide their inputs on civil society development in Vietnam. 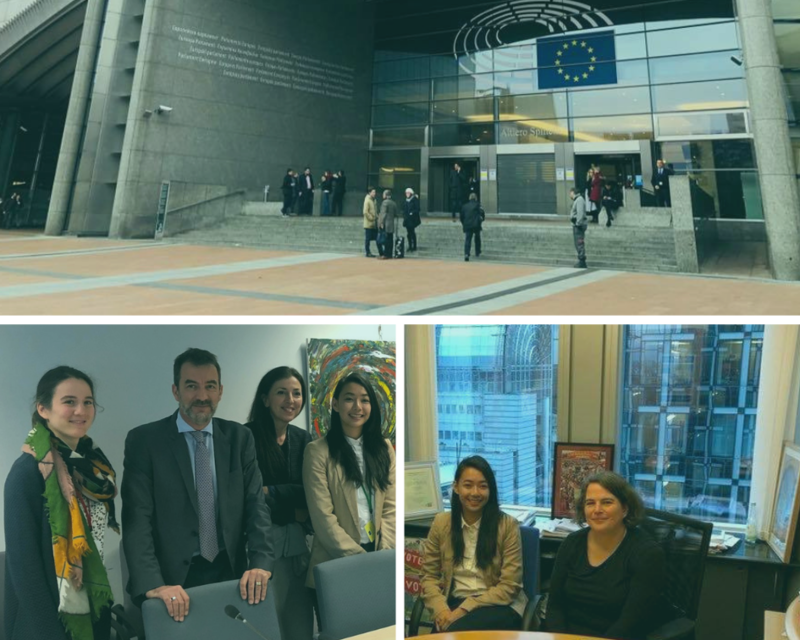 In February this year, a delegation from the European Union Parliament’ Sub-Committee on Human Rights held a similar meeting with Vietnamese civil society actors, including the said activists. During their detention, the activists were held incommunicado, and legal assistance was not allowed. The activists were subsequently released with activist Pham Doan Trang being the last one released at midnight. Her cellphone was seized without her consent and to date, they remain in the police’s possession. We reiterate herein our strong condemnation of the above-described illegal conduct committed by the Vietnamese police and other involved agencies. Their action is in direct violation of Vietnamese laws and other international treaties on human rights which Vietnam is a signatory of and has ratified. The government’s treatment of the activists, through the illegal detention and unlawful taking of their personal property, is a direct attack on independent civil society and its development in Vietnam. At the same time, these conducts show the government’s willingness to disregard the rule of law and their own laws in their attempt to suppress independent voices. We regard these types of conduct as a direct and extremely dangerous threat to the development of not just civil society organizations, but of Vietnamese society at large. The protection of an individual’s human rights is the protection of everyone’s rights. We call on our citizens, communities, civil society organizations, international organizations, and governments to join us in condemning these conducts. We respectfully request the European Union to bring this matter as well as other grave matters in the past to the Vietnamese government. Last, we demand the Vietnamese authorities to immediately cease their attacks on and harassment of civil society activists, open right away an investigation into the incident as mentioned above, and announce the findings to the public as soon as possible. HANOI, Vietnam — A prominent blogger and environmental activist in Vietnam was sentenced last week to 10 years in prison on charges of national security offenses, including sharing anti-state propaganda on social media. 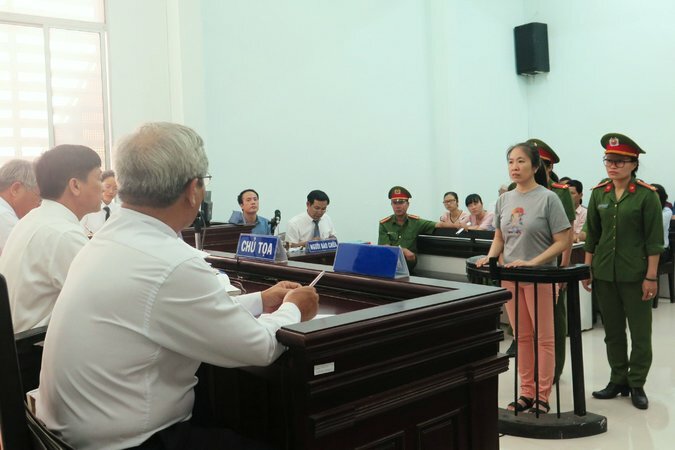 Nguyen Ngoc Nhu Quynh, better known by her online handle Mother Mushroom, had been held incommunicado since she was arrested in October, and attendance at her trial was strictly controlled. 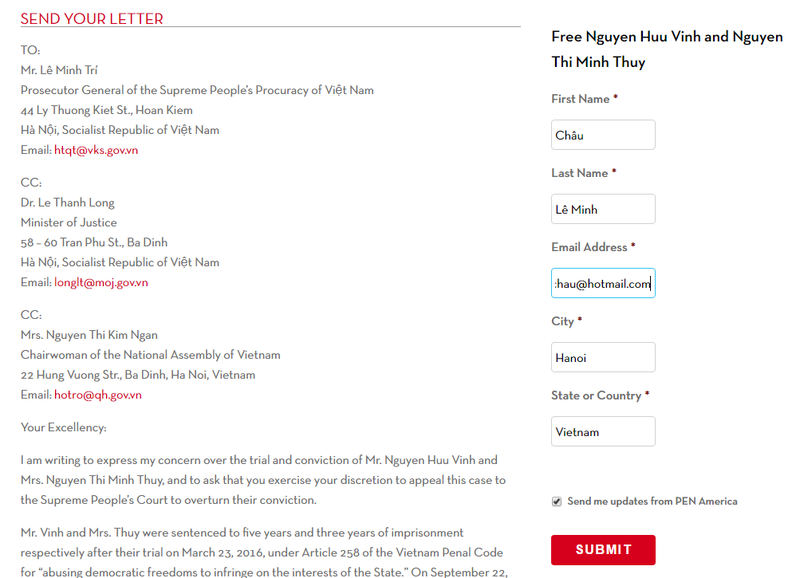 But barely one hour after the verdict was handed down on Thursday, one of Ms. Quynh’s lawyers summarized his arguments and posted her final statement at the trial to his 61,000 Facebook followers. “I hope that everyone will speak up and fight, overcome their own fears to build a better country,” she said, according to the lawyer. The statement was reposted thousands of times. In authoritarian Vietnam, the internet has become the de facto forum for the country’s growing number of dissenting voices. Facebook connections in particular have mobilized opposition to government policies; they played a key role in mass protests against the state’s handling of an environmental disaster last year. Now, the government is tightening its grip on the internet, arresting and threatening bloggers, and pressing Facebook and YouTube to censor what appears on their sites. “Facebook is being used as an organizing tool, as a self-publishing platform, as a monitoring device for people when they are being detained and when they get released,” said Phil Robertson, deputy Asia director for Human Rights Watch. Facebook is being used “to connect communities that otherwise wouldn’t be connected,” he said. 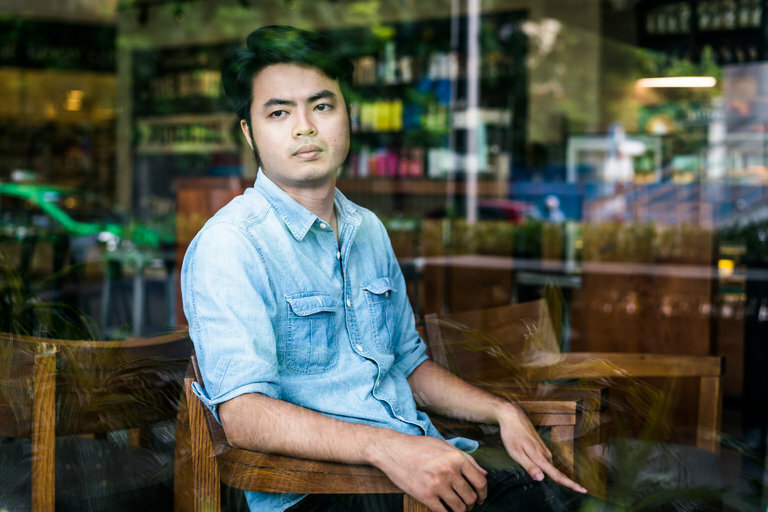 Nguyen Anh Tuan, 27, a pro-democracy activist, said the growing number of dissidents forging connections through social media had emboldened him. The first time the police interrogated him in 2011, he said, he felt utterly alone. His parents and friends disapproved of his political writings, and he knew few other people he could turn to for help. Mr. Tuan still faces police harassment and his passport has been confiscated. But the most recent time he was called in for questioning, he posted a copy of the summons to Facebook, along with a satirical note demanding to be paid for the time he spent in custody. His note went viral, and other people followed suit, posting their own police summonses on Facebook and asking for compensation. “Regarding activism, I cannot feel lonely anymore,” he said. Vietnam’s Facebook users — who now number 45 million, almost half the country’s population — use the site to organize prison visits and vigils outside police stations for detainees, and to solicit donations for political prisoners. And dissidents are increasingly migrating political and personal blogs, which can be easily blocked by the government, onto Facebook, which is so widely used that blocking it entirely would not be feasible. Mr. Tuan helps run a fund that supports the families of prisoners of conscience, including Ms. Quynh’s mother and two young children. He said that much of the support now came from people inside the country sending money from their personal bank accounts, which the state can trace. In the past, he said, overseas Vietnamese communities drove most of the dissent and supplied most of the money. “They know very well that they could be checked by the government, but they dare to do it,” he said of his local donors. That has not gone unnoticed by the government, which is also asserting its authority in new ways. 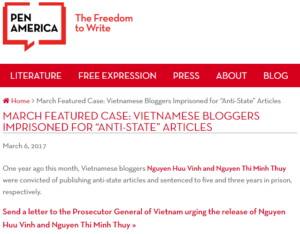 Ms. Quynh is one of over 100 bloggers and activists jailed in Vietnam, according to Human Rights Watch. Pham Minh Hoang, another popular blogger, was stripped of his citizenship and deported last week to France, where he also holds citizenship. The government has strategically cut access to Facebook when protests are expected, and earlier this year asked both Facebook and YouTube to help it eliminate fake accounts and other “toxic” content, like anti-government material, saying it had identified up to 8,000 YouTube videos that fit that description, according to the local newspaper Tuoi Tre. The government also warned Vietnamese companies that their ads must not appear next to that sort of content. Facebook has said its policy is to abide by local laws, although there was no indication it had removed content in Vietnam thus far. Nguyen Quang A, a retired computer scientist and former Communist party member who is now a dissident, said he felt the human rights situation was as bad as ever. Last week, shortly before a planned interview, he was picked up by police near his house and taken for a five-and-a-half-hour drive to the seaside and back. He said he had been similarly detained 11 other times in the past year and a half. He suggested the government was under increasing pressure from citizens frustrated by its handling of recent environmental and land issues. When a chemical spill at the Formosa Steel company killed tons of fish last year, outrage coalesced online, where protests were organized, photographs of the disaster spread rapidly and the hashtag #Ichoosefish became a rallying cry. In a report released last month, Human Rights Watch detailed what it called a “disturbing trend” of bloggers and activists being beaten on the street by thugs known as “con do.” It tallied 36 such attacks from January 2015 to this April, only one of which the police investigated. The report relies partly on the activists’ own photos and videos of their injuries, often filmed shakily on smartphones and quickly shared online. It is “remarkable that in a country that as recently as 15 or 20 years ago had one of the lowest rates of telephone usage in the world has thrust rapidly into an era of 24-hour news and continuous social and political criticism accessible to everyone,” he said. 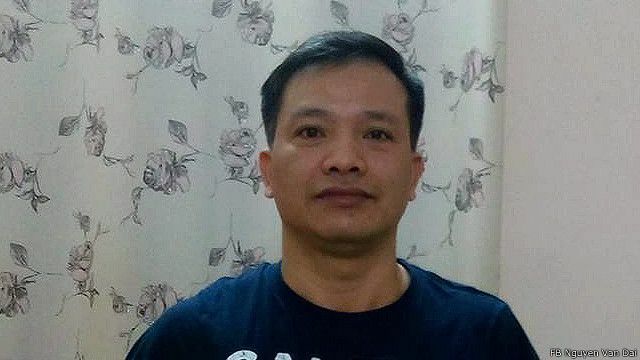 Pham Anh Cuong, 45, an electrical engineer, was not outspoken about politics until two years ago, when an activist he followed online, Nguyen Chi Tuyen, 43, was severely beaten by five men. Mr. Cuong saw photographs of Mr. Tuyen’s bloody face and was alarmed by the brutality of the attack. Today, he considers himself “one who raises my voice,” if not fully a dissident. His goal is to share information with family and friends, rather than depend on the mainstream news media, which is nearly all state-owned. Offline, he now considers Mr. Tuyen and other dissidents friends, and several of them play together on a soccer team, the No-U FC. (“No-U” refers to a U-shaped line marking China’s bold territorial claims in the South China Sea, an issue that galvanized many Vietnamese dissidents several years ago.) A Facebook page meticulously tracks the team’s wins and losses, as well as its members’ frequent run-ins with the security police. In a cafe in Hanoi last week, the two friends simultaneously chatted, chain-smoked and checked Facebook. They noticed a state media story criticizing Mother Mushroom for receiving a cash prize from a human rights group in Stockholm. Mr. Tuyen immediately tagged a Swedish diplomat to alert her to the piece and asked the rights group for comment. The two began scrolling again. 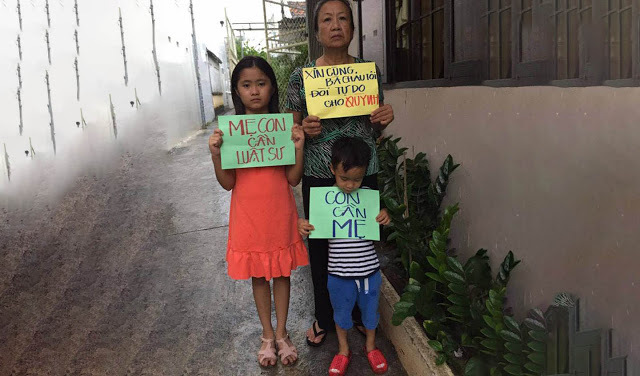 “Here’s news from one of my friends, a doctor in Saigon, who just heard the news that Mother Mushroom is in debt,” Mr. Tuyen said. “The doctor in Saigon raised his voice that we should contribute to give money to her family,” he said. He typed for a moment, then looked up again. UNDP seeks to engage with civil society to promote the Millennium Development Goals (MDGs). Engagement with civil society is critical to national ownership of development processes, democratic governance, and the quality and relevance of official development programmes. Given the growing role and influence of civil society in development, UNDP seeks to draw on and contribute to its strengths in order to maximize the potential of civic engagement for development. · First, we invest in civil society and civic engagement by facilitating an enabling environment for civil society, supporting and partnering with civil society for policy impact and revitalizing UN(DP) capacity and environment to engage with a fuller range of civil society actors that could contribute to a positive social change and foster civic engagement. · Second, we facilitate citizen action for democratic governance and development by supporting democratic governance through collective civic action for accountability, drawing on the expertise and experience of others in this arena to facilitate more productive state-society and mutually respectful interactions in national processes; and scaling up community actions for local development and upstream impact. · Third, we strengthen civic engagement for multilateralism and human development by promoting UNDP-civil society partnerships for human development as well as UN(DP)-civil society dialogue mechanisms at national, regional and global levels to promote inclusive participation in development processes; and facilitating multi-stakeholder platforms and networks to address global development priorities. These goals are supported through partnerships with civil society at country offices and at the global level. UNDP engagement with civil society is guided by two policy documents: the UNDP Corporate Strategy on Civil Society and Civic Engagement (2012) and the UNDP and Civil Society Organizations: A Policy of Engagement (2001). Civil society actors at national and global levels have developed substantive capacity and influence in a range of development issues. Partnering with them can help contribute to the effectiveness of development interventions, especially with respect to marginalized and vulnerable groups. The success of development and participatory governance depends on both a robust state and an active civil society with healthy levels of civic engagement. Civic engagement is key to the work of UNDP in strengthening responsive governing institutions and practices – accountability, good governance, democratization of development co-operation, and the quality and relevance of official development programmes. Civil society also has an important role to play in development and aid effectiveness. It has been a strong advocate of changes in the way donors provide development assistance, and is an active partner around the Paris Declaration and Accra Agenda for Action. Many civil society organizations (CSOs) have a proven capacity for broad-based mobilization and creating bottom-up demand that fosters responsive governance. Civil society advocacy can facilitate the participation of poor and vulnerable populations in the design and implementation of development policies and programmes. This can enhance the delivery of basic social services, such as health and education. Civil society organizations also play a critical watchdog role in public life. Last but not least, members of civil society organizations volunteer their time, skills, and expertise to development. For UNDP, civil society constitutes the full range of formal and informal organizations that are outside the state and market. This includes social movements, volunteer organizations, indigenous peoples’ organizations, mass-based membership organizations, non-governmental organizations, and community-based organizations, as well as communities and citizens acting individually and collectively. To foster policy dialogue with civil society, UNDP has in recent years promoted the establishment of Civil Society Advisory Committees to United Nations Country Teams as forums for strategic engagement by civil society in the work of the UN at the national level. At headquarters, the Civil Society Advisory Committee provides UNDP with policy advice. UNDP partners with a wide cross-section of local, regional and global CSOs in programme implementation and policy advocacy. At the country level, this often means working with them to provide basic services in the areas of health, education, water delivery, agricultural extension and micro-credit provision. In addition, recognizing that CSOs often serve as both a driving force in guiding development policies and as a watchdog to make sure policies get implemented, UNDP facilitates civil society participation in poverty reduction strategy processes, advocacy for the MDGs, and in advancing gender equality. A dearth of coverage, competing global interests, and an omnipresent police state render violations largely unnoticed. Nguyen Chi Tuyen, a 43-year-old from Hanoi, was driving home after dropping his son off at school when he was attacked by thugs. 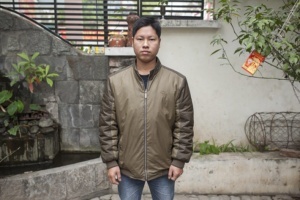 Tuyen, a dissident blogger who makes his living translating books into Vietnamese at a local publishing house, said around half a dozen men in plainclothes forced him off his motorbike before beating him to the ground. He didn’t know the attackers, nor did they rob him. “At least two motorbikes stopped me on the way, one just before and one behind my back, and I heard one man say, ‘Ah! 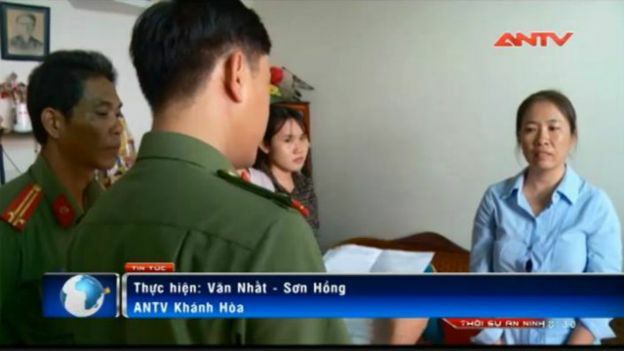 It’s him!’” said Tuyen, whose pen name is Anh Chi, describing the May 2015 incident. 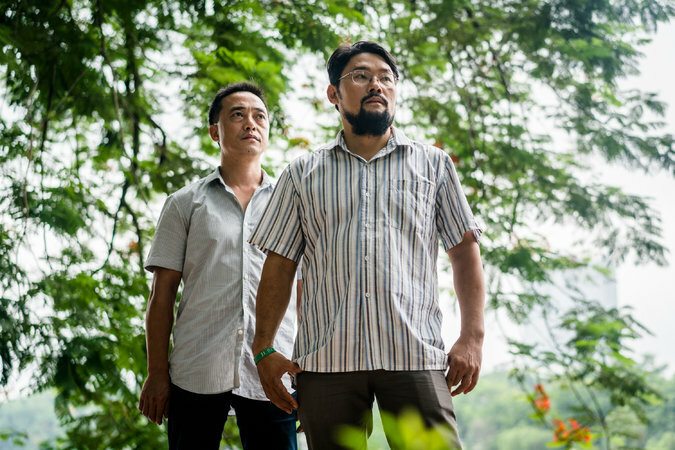 While Tuyen was never able to confirm the attackers’ identity, he has no doubt that they were working for the government. “We know they were organized by the security forces,” he said. 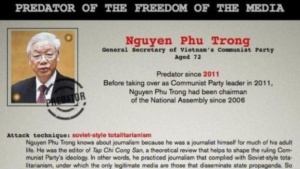 Rights monitors say Tuyen’s story is par the course within Vietnam’s secretive single party communist state. According to most metrics commonly used to measure level of human rights abuses, Vietnam boasts one of the world’s most authoritarian police states. But activists say that far too little attention is paid to Vietnam even as other Southeast Asian countries are routinely condemned by the international community. “It’s quite clear that Vietnam is getting much more of a free pass on human rights than their poor record deserves, partly because of the government’s resilience and willingness to push back on international criticism,” said Phil Robertson, deputy director of Human Rights Watch’s Asia division. Dissident blogger Nguyen Chi Tuyen, 43, known in Vietnam by his pen name Anh Chi, at a Hanoi coffee shop July 2016. Photo by Aleksandra Arefieva. 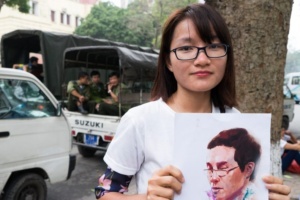 Amnesty International counted 91 prisoners of conscience in Vietnam in its 2016 yearly report, the highest number in Southeast Asia, while eight of the 13 journalists imprisoned in the region are in Vietnam, according to the Committee to Protect Journalists. 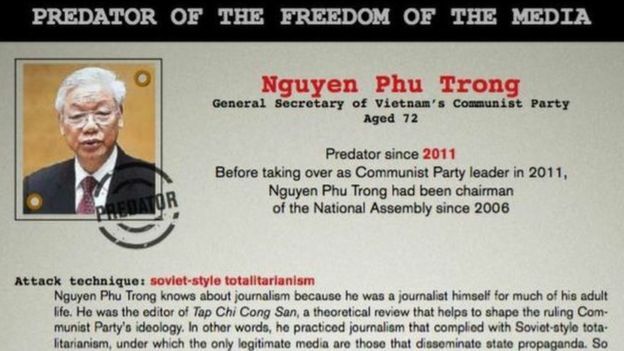 The local press and civil society, which virtually never strays from the party line, brands dissidents as “reactionaries.” Foreign correspondents, who are required by law to be based in Hanoi, have their movements and reporting closely tracked. “Vietnam makes it hard to follow cases of dissidents facing repression, keeps its proceedings in courts and treatment in prisons as secret as possible, and restricts its media,” said Robertson. “So it’s not surprising that there is comparatively less news of such abuses than bodies turning up every day on the streets in Duterte’s Philippines,” he said, referring to referring to Philippine President Rodrigo Duterte’s bloody war on drugs. 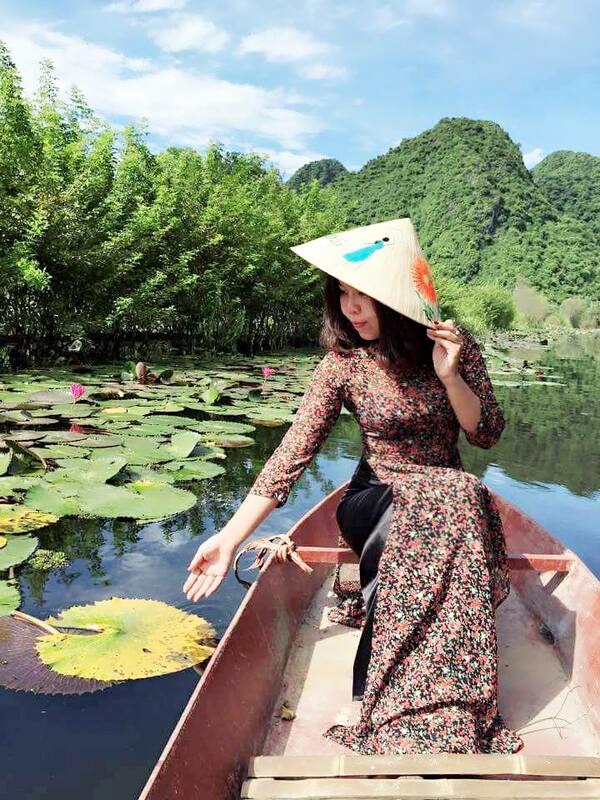 Dao Thi Huong, 30, lives the cosmopolitan white collar lifestyle unheard of in northern Vietnam before the 1990s. A financial modeler for a Singaporean firm, she was of the first generation of Hanoians to have a shot at a middle-class existence following centuries of dynastic cycles, French colonialism, and hardline Marxist-Leninism. Although a beneficiary of the recent economic boom fostered by the Communist Party, Huong has decided that multiparty democracy is the way forward. 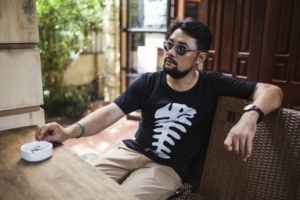 “Five years ago, I believed in communism, I believed in the government, and Uncle Ho,” said Huong, referring to modern Vietnam’s revolutionary founder Ho Chi Minh, at an upscale coffee shop near Hanoi’s Hoan Kiem lake. The arrest of dissident lawyer Le Quoc Quan in 2012, who served 30 months in prison on a tax evasion conviction that his supporters argue was politically motivated, changed her mind. Huong calls herself as a “half activist,” a fellow traveler of the dissident cause who shows up at Hanoi’s rare public demonstrations, which get quickly shut down by police. Despite her small role in the movement, police were quick to make a house call to her parents as she started to become a familiar face at protests. “They came to my family and said something was wrong about me,” she said, adding that such methods were often effective at convincing even the smallest activists to get back in line. Had her employer not been based in Singapore, Huong said the police would have likely put pressure on her boss to discipline her at work. 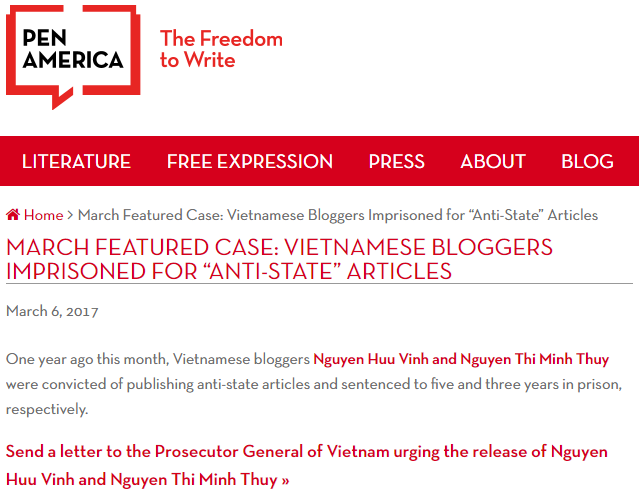 When harassment doesn’t approve effective, authorities use penal code provisions that broadly criminalize “conducting propaganda” against the state and “abusing democratic freedoms.” Blogger Nguyen Huu Vinh, better known as Anh Ba Sam, is serving five years in prison for his dissident website, while Nguyen Ngoc Nhu Quynh, who blogged under the pen name Mother Mushroom, awaits trial following her October arrest. 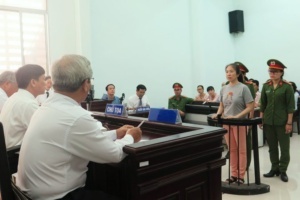 Can Thi Theu, a farmer who since 2008 has been fighting forced evictions in her neighborhood on the outskirts of Hanoi, is serving a 20 month prison sentence for “disrupting public order” at protests. It is her second prison sentence for activism. Her husband, Trinh Ba Tu, has also served time. “The government used all of the police, the court, anything they have, and they accuse my mother of any crime they want,” said Trinh Ba Phuong, Theu’s 32-year-old son. “I’m not afraid of anything, because I have support from many villagers, and my parents suffer from the hard verdict from the court, and I’m ready to sacrifice to anything that can help my community, my neighbors, the farmers who lost the land to the government,” he said. Trinh Ba Phuong, 32, son of jailed land activist Can Thi Theu, at a Hanoi restaurant February 2017. Photo by Aleksandra Arefieva. Vietnam’s recent history has catapulted the nation from international pariah fighting against the United States to an important strategic partner of the West. Economic opportunities abound in one of the world’s fastest growing economies, while politicians from Washington to Tokyo also see Hanoi as a potential ally in the South China Sea disputes. “Now with Trump in charge, our worry is human rights concerns in Vietnam will be diminished even further,” said Roberston. Yet concerns of American apathy toward the Vietnamese dissident movement predate the Trump administration. Musician and activist Mai Khoi said her May 2016 meeting with President Barack Obama in Hanoi left her with mixed impressions. Once one of Vietnam’s most famous pop stars – she was the 2010 winner of Vietnam Television’s Album of the Year award – her quashed attempt to run for parliament in 2016 as an independent candidate rendered her a pariah in the Vietnamese entertainment industry. “I think the fact that President Obama met me was symbolically very important,” she said, adding that the former president extended a planned 20-minute meeting to a full hour. “Unfortunately, promoting human rights never seems to be the top priority of foreign governments engaging with Vietnam,” she added. Foreign governments, said Robertson, only provide a limited amount of support as they pursue their national interests. “Various governments say that they conduct private, behind closed doors, advocacy on rights with Hanoi, but what we hear time and time again from dissidents is the people of Vietnam really want stronger public affirmations by other governments that Vietnam must respect rights,” he said. The European Union concluded a free trade agreement with the government with Vietnam in 2015. 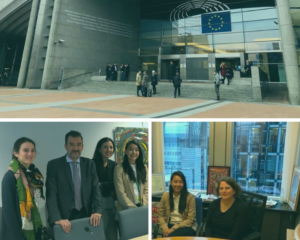 However, the chair of European Parliament‘s human rights subcommittee, Pier Antonio Panzeri, said at a February press conference in Hanoi that it will be “extremely hard” for the treaty to be ratified without improvements in human rights. The local United Nations offices, say local dissidents, are even less helpful. 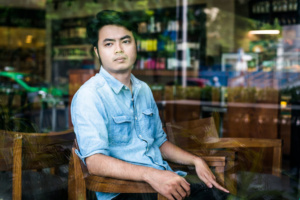 “I would say that the UN in Vietnam is very active when it comes to the less sensitive issues, for example HIV prevention, but when it comes to political rights, for example freedom of expressions, freedom of assembly, freedom of association, they are less active,” said Nguyen Anh Tuan, a 27-year-old Hanoi activist. Tuan’s unregistered NGO, Voice, aims to indirectly challenge the party by educating youth in the ways of independent civil society. But under Vietnamese law, all social organizations, from sports teams to churches, must be member groups of the Vietnamese Fatherland Front (VFF), an umbrella organization controlled by the party. As non-communist controlled organizations are effectively outlawed, UN regulations prevent its agencies from working with dissident groups. Sunita Giri, head of the UN Resident Coordinator’s Office in Hanoi, acknowledged that their operations must be in line with Vietnamese law. “The UN does work with registered civil society organizations, and for any financial transactions or partnerships ensures that a beneficiary organization is registered and is in compliance with national law,” she said, adding that the UN “works with all stakeholders in Vietnam”. But the legal limitations, according to dissidents, renders the U.N. ineffective in tackling human rights. The blogger Tuyen said that while he has met with visiting officials from the Bangkok branch of the Office of the United Nations High Commissioner for Human Rights (it has no Hanoi office), the local UN agencies are of no help. 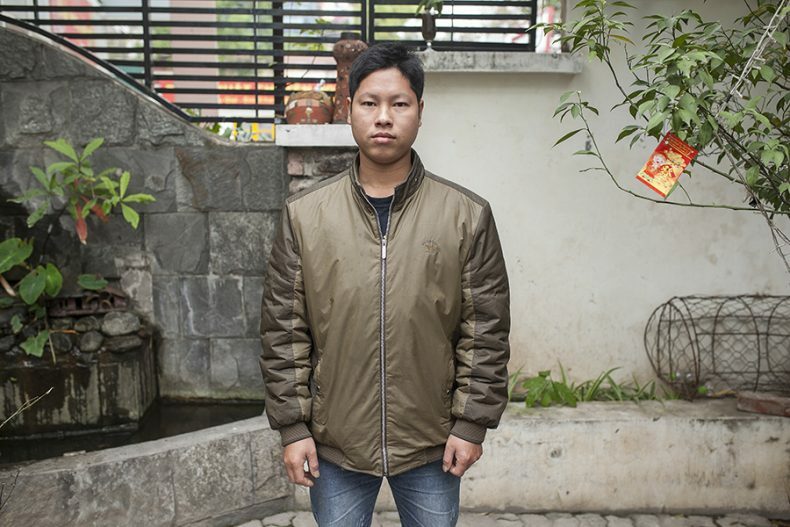 “The offices in Hanoi, they have another mission, they don’t pay attention to human rights or democracy,” said Tuyen. With the Vietnamese government’s single party rule effectively normalized in the global arena, activists agree that they are on their own to bring about a multi-party democracy. “I always tell my colleagues, we appreciate the support of the outside, but we cannot rely on the support of the international [community],” said Nguyen Quang A. A retired businessman turned dissident, Quang A, 71, is among Vietnam’s most prolific activists. In 2016, he was a finalist for the Netherland’s Human Rights Tulip award. Like the singer Mai Khoi, he also attempted to run for parliament in the 2016 elections. While he welcomes support from abroad, Quang A said he understands the complicated geopolitics that prevent a full-scale endorsement of his cause. “It depends on the political mood of the big guy over there,” he said, jokingly referring to Trump. Quang A said he was understanding of Trump’s “America first” stance. “You can see a network in the West of so many interests, and they have to serve their interests first, and that is understandable,” he said. Yun Sun, a senior associate with the East Asia Program at the Stimson Center think tank in Washington D.C., said that it’s inaccurate to say that America hasn’t exerted any pressure. To some extent, she said, Hanoi has been responsive. “This is a case where Vietnam’s strategic interests and national security vis-a-vis China in the South China Sea runs into conflict with the CPV’s [Communist Party of Vietnam’s] political interests to maintain the one-party authoritarian government in the country,” she said. Vietnam has granted some human rights concessions in recent years. LGBT rights are increasingly recognized by the state, and a 2016 law affirmed freedom of religion. The government even agreed to independent labor unions when it signed the Trans-Pacific Partnership trade agreement, although the the treaty’s rejection by the Trump administration makes the reforms unlikely in the near future. Tuan, the civil society organizer, said the future of Vietnamese activism would come from within. “I know [foreign governments] try to put the pressure on the Vietnamese government, but it’s not easy to deal with the Vietnamese government and they are good at dealing with the international actors,” he said. But any logistical or technical help for civil society organizers, he said, would be much appreciated. “They should focus on domestic pressure, civil society underground on the grass root level. At first they can’t provide support directly, but they can provide more training, more events, seminars, and workshops to make Vietnam more international,” he said. Representatives from the Vietnamese government didn’t comment in time for publication.